LB1 is an unmanned wellhead platform installed in 113.6 m water depth with 10 slots, designed for a maximum of 1800 mc/d oil production and 1600 mc/d Water Injection. 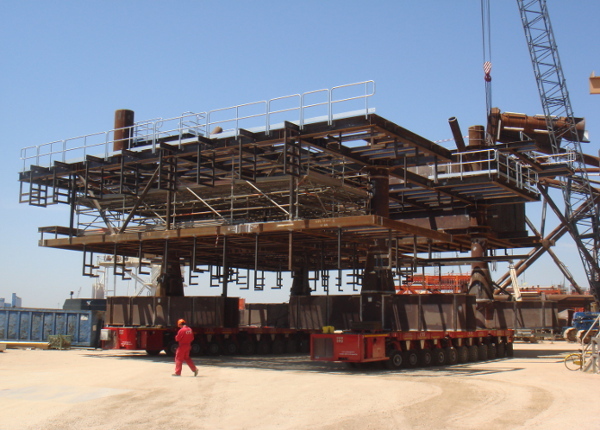 The jacket is a 4 legs structure which is supported by 4 piles 48” OD installed inside the legs (piles driven though the jacket legs and connected by welding above water without grouting the annulus). Overall dimensions of the jacket primary structure are 12.0 m x 12.0 m at the top (el. 6.5 m) and 36.0 m x 36.0 m at the bottom (el. -113.3 m). The six horizontal frames are located at elevation –113.27 m, –86.00 m, –60.00 m, –36.0 m, –14.00 m and +4.00 m.
The deck is of the integrated type with all equipment installed onshore in the construction yard. It is composed by 4 main levels, equally spaced about 3.0 m vertically. The main dimensions of the deck levels are 20.0 m by 25.0 m. The deck is equipped with two skidding beams suitable for supporting the drilling rig. 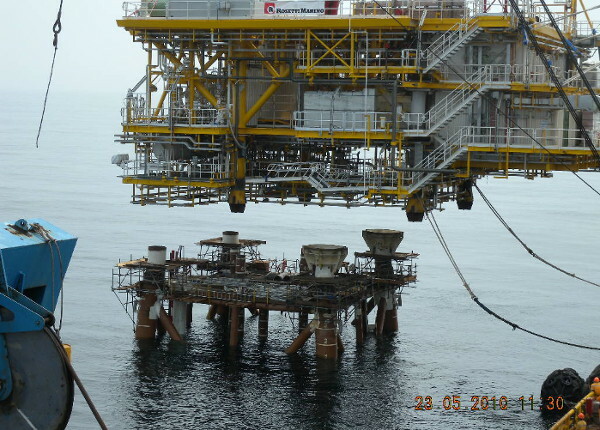 The topside includes a technical room, a platform crane, a vent and a telecommunication mast.